We enjoyed participating in the ACE Mentor Program yesterday afternoon for a tour of M16 - Alston Ridge Middle School in Cary. The construction is between 65 and 70% complete and the the students got to see a construction site in full swing. Thanks to Barnhill Constrction Company for hosting the event and PDC for providing insight on the PME Design. It’s great to see so many young people interested in construction, architecture, and engineering! The restoration of the W.H. Matthews mausoleum at Mount Hope Cemetery in Raleigh, NC is nearing completion. W.H. Matthews was a mason and contractor who lived in Raleigh. Believed to have been designed by his son W.J. Matthews of Chicago, his mausoleum is one of the more significant monuments in the cemetery. Built from a variety of stones collected by Mr. Matthews from his work across North Carolina, it features a barrel vaulted roof and cast iron door. Mount Hope was founded in 1872 as a city-owned African-American cemetery, among the first of its kind in North Carolina. Wake County Commissioners, Wake County School Board Members, Cary Town Council Members and many others braved the wet cold rain to celebrate the construction of WCPSS's latest Middle School Project located in western Cary, NC. We are proud to be the architect for this exciting project and are looking forward to it's construction over the next year and a half. 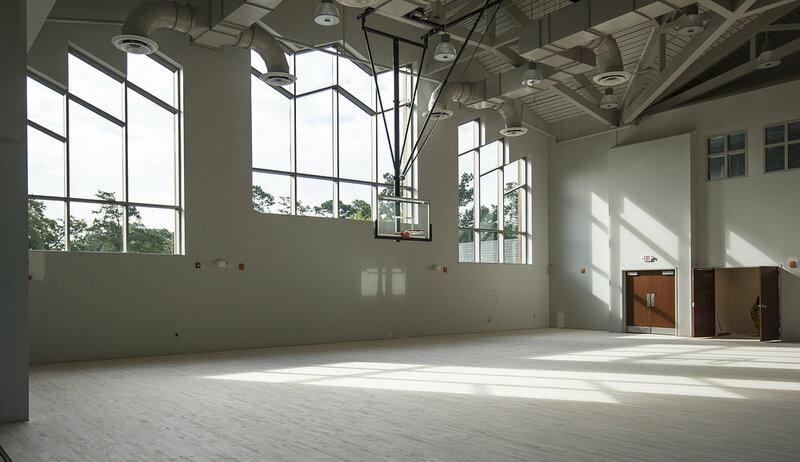 The school features flexible collaborative areas, large windows for great views and daylighting, flexible courtyards for outdoor learning, and multiple colors of local brick. The Addition to Hayes Barton United Methodist Church in Raleigh is nearly complete! The Well (Thomas Sayre's sculptural space) at Hayes Barton United Methodist Church is coming along nicely. It won't be too long until it's finished! The Board of Trustees got a sneak preview of their new facility under construction on May 10th. You can see them here admiring The Well sculpture by Thomas Sayre. Click HERE to learn about the meaning behind this space. The chapel at Hayes Barton United Methodist Church in Raleigh is starting to take shape. It's going to be a great space. 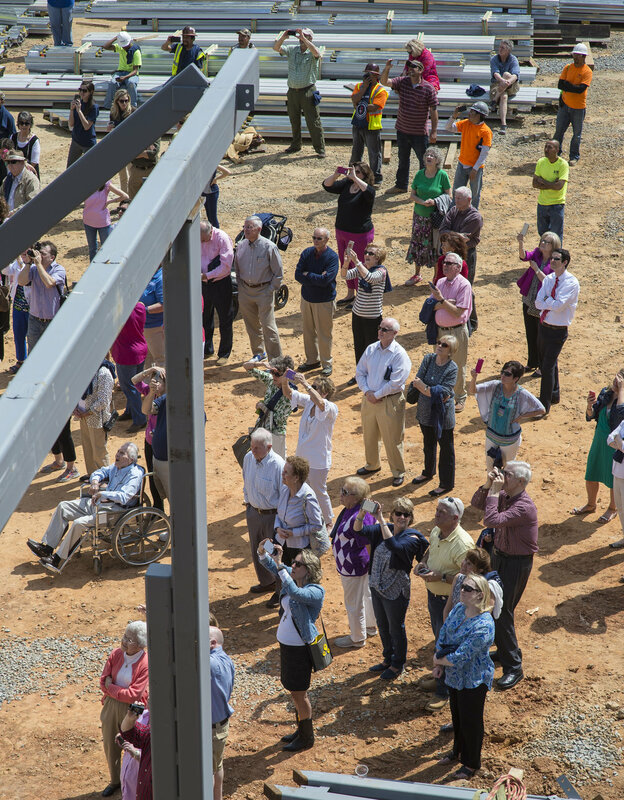 We all had a great time on March 24th the topping out ceremony at Hayes Barton United Methodist Church in Raleigh, NC. The barbecue was awesome - thanks HBUMC!